Urban Initiatives and Allstate Insurance hosted the 11th Annual Soccer Ball at Morgan Manufacturing, on Friday, January 27, 2017. The night of philanthropy, dancing, cocktails, heavy appetizers and an exquisite silent auction helped Urban Initiatives have its most successful Soccer Ball to date. Each year since its inception, the wildly popular Soccer Ball has sold out. This year was no exception selling out earlier than ever. 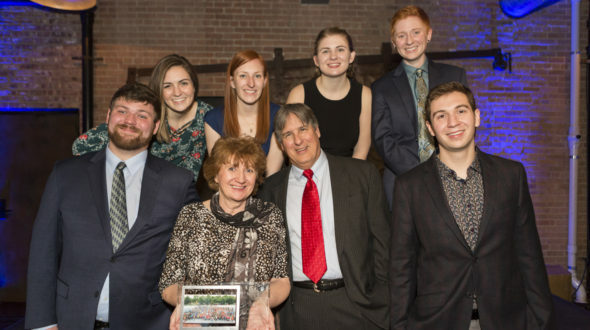 Over 1,100 guests that included Chicago’s top philanthropic leaders, executive leaders, and family foundations joined the fun and helped raise funding and awareness for Urban Initiatives. Over $600,000 was raised through ticket sales and sponsorships. Over $45,000 was raised through the Silent Auction through exquisite items that included Chicago Cubs owner Tom Ricketts’ personal seats, next to the 2016 World Series Champions dugout, Park City, Utah Ski Trip, and autographed jerseys from Chicago champions, David Ross, Patrick Kane, and Duncan Keith. Over $65,000 was raised during the Paddle Raise, which allows Urban Initiatives to continue their impact by adding additional schools, students, families, and communities to be served. Over the course of the last 10 years The Soccer Ball has raised over 2 million dollars, allowing Urban Initiatives to expand its programming from 4 to 50 Chicago Public Schools, directly benefiting thousands of children. The Soccer Ball Award was presented to the J.R. Albert Foundation for their commitment to Urban Initiatives since 2008. 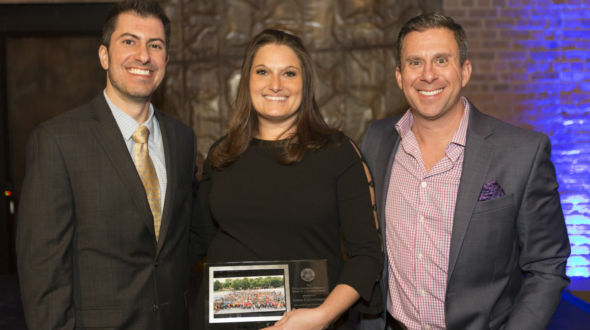 For her service and dedication to enriching lives Annie Couyoumjian, Partner at Hinshaw & Culbertson LLP, was presented with the Paula Armstrong Heart of a Champion Award. Lastly, Take the Lead Team Captain Jariyae Tilly from Morton School of Excellence was awarded the Troy Cameron Team Captain of the Year Award. Local movers and shakers were fixtures at the Soccer Ball, including: local business leaders, professional athletes, philanthropists, small business owners, educators, lawyers, and doctors. Along with corporate leaders from Allstate, Archer Daniels Midland, Boeing, BMO Harris Bank, Northern Trust, Chicago Cubs, Chicago Park District, United Airlines, IMC, Kirkland & Ellis, and Citadel. Carmen DeFalco and Marc Silverman from ESPN co-hosted a fun evening where Chicago gives back to it’s most underserved communities. 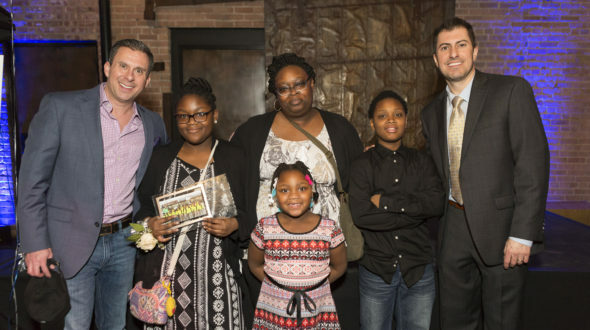 Urban Initiatives would like to thank all the amazing sponsors, guests, host committee, Board of Directors, Builders Board, Associate Board, and everyone who made a donation in support of Chicago kids. Thank you all and please save the date for the 12th Annual Soccer Ball on Friday, January 26, 2018! A special thank you goes out to Lettuce Entertain You, Constellation Brands, Beam Suntory, Cubby Bear, Optimus, and Elemento L2 for helping make the 11th Annual Soccer Ball a huge success.